Countries that have regonised the Libyan National Transition Council (NTC) are shown above. 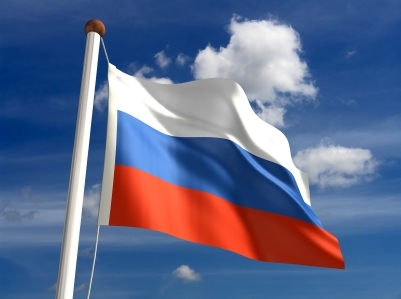 Russia recognized the National Transitional Council (NTC) as the government of Libya. Russia had opposed the NATO-led bombing campaign that helped topple Muammar al-Qaddafi, criticizing it for exceeding its mandate under a U.N. Security Council resolution, and calling for a negotiated solution to the conflict. Russia on Thursday officially recognised Libya’s rebels as the governing authority in the country, the Foreign Ministry said in a statement. “The Russian Federation recognises Libya’s National Transitional Council as the ruling authority and notes its reform programme that includes the development of a new constitution, holding general elections and forming the government,” it said. “Our country has established and continued diplomatic relations with Libya since September 4, 1955 without a break, no matter what government holds power in Tripoli,” it said. The annoucement came as World leaders were to meet in Paris to plot Libya’s post-Kadhafi future. Thursday’s conference in the French capital, which will be attended by delegates from 60 countries, is expected to discuss funding for Libya as well as police training and diplomatic recognition for its new rulers. Russia though speaking out the most against the enforcement of the no-fly-zone had no logical choice but to recognize the National Transitional Council after numerous countries such as Turkey, Germany, France, U.K., U.S., and the United Nations did. If Russia was the odd man out it would be severely in a bad position when it came to doing business in Libya due to the fact that it was very close to the old regime. Billions of arms sales, oil contracts were signed when Qaddafi was in power and Russia has been reluctant to recognize the NTC because of uncertainty that those contracts would be upheld once the new leadership is in place. Here is video report by Russian state controlled Russia Today on the announcement. Dr Aly El-Masednah Kothany is the new chargé d’affaires of the Libyan embassy in Berlin. He is not a career diplomat but a doctor, who studied in Germany. Here is background video report on the new representative. Turkey is proposing a new strategic partnership with Egypt, ditching former alliances with Israel and Syria. A newly assertive Turkey offered on Sunday a vision of a starkly realigned Middle East, where the country’s former allies in Syria and Israel fall into deeper isolation, and a burgeoning alliance with Egypt underpins a new order in a region roiled by revolt and revolution. He declared that Israel was solely responsible for the near collapse in relations with Turkey, once an ally, and he accused Syria’s president of lying to him after Turkish officials offered the government there a “last chance” to salvage power by halting its brutal crackdown on dissent. Strikingly, he predicted a partnership between Turkey and Egypt, two of the region’s militarily strongest and most populous and influential countries, which he said could create a new axis of power at a time when American influence in the Middle East seems to be diminishing. “This is what we want,” Mr. Davutoglu said. His comments came after a tour last week by Turkish leaders — Prime Minister Recep Tayyip Erdogan and Mr. Davutoglu among them — of Tunisia, Egypt and Libya, the three Arab countries that have undergone revolutions this year. His criticism of old allies and embrace of new ones underscored the confidence of Turkey these days, as it tries to position itself on the winning side in a region unrecognizable from a year ago. Unlike an anxious Israel, a skeptical Iran and a United States whose regional policy has been criticized as seeming muddled and even contradictory at times, Turkey has recovered from early missteps to offer itself as a model for democratic transition and economic growth at a time when the Middle East and northern Africa have been seized by radical change. The remarkably warm reception of Turkey in the Arab world — a region Turks once viewed with disdain — is a development almost as seismic as the Arab revolts and revolutions themselves. Mr. Davutoglu credited a “psychological affinity” between Turkey and much of the Arab world, which was ruled by the Ottoman Empire for four centuries from Istanbul. That sense of cultural affinity has facilitated Turkey’s entry into the region, as has the successful model of Mr. Davutoglu’s Justice and Development Party, whose deeply pious leaders have won three consecutive elections, presided over a booming economy and inaugurated reform that has made Turkey a more liberal, modern and confident place. Mr. Erdogan’s defense of Palestinian rights and criticism of Israel — relations between Turkey and Israel collapsed after Israeli troops killed nine people on board a Turkish flotilla trying to break the blockade of Gaza in 2010 — has bolstered his popularity. Mr. Davutolglu, who accompanied him there, said Egypt would become the focus of Turkish efforts, as an older American-backed order, buttressed by Israel, Saudi Arabia and, to a lesser extent, prerevolutionary Egypt, begins to crumble. On the vote over a Palestinian state, the United States, in particular, finds itself almost completely isolated. He also predicted that Turkey’s $1.5 billion investment in Egypt would grow to $5 billion within two years and that total trade would increase to $5 billion, from $3.5 billion now, by the end of 2012, then $10 billion by 2015. As if to underscore the importance Turkey saw in economic cooperation, 280 businessmen accompanied the Turkish delegation, and Mr. Davutoglu said they signed about $1 billion in contracts in a single day. “For democracy, we need a strong economy,” he said. Other countries — Iran, Saudi Arabia and Israel — would undoubtedly look upon an Egyptian-Turkish axis with alarm. Just a year ago, Egypt’s own president, Hosni Mubarak, viewed Turkey, and Mr. Erdogan in particular, with skepticism and suspicion. But in the view of Mr. Davutoglu, such an alliance was a force for stability. The phrase “zero problems” is a famous dictum written by Mr. Davutoglu, who served as Mr. Erdogan’s chief foreign policy adviser before becoming foreign minister. By it, he meant that Turkey would strive to end conflicts with its neighbors. Successes have been few. Problems remain with Armenia, and Turkey was unable to resolve the conflict in Cyprus, still divided into Greek and Turkish zones. Turkey’s agreement to host a radar installation as part of a NATO missile defense system has rankled neighboring Iran. Most spectacularly, its relations with Israel collapsed after the Israeli government refused a series of Turkish demands that followed the attack on the boat: an apology, compensation for the victims and a lifting of Israel’s blockade on the Gaza Strip. Caught by surprise by the Arab revolts — as pretty much everyone was — Turkey staggered. At least $15 billion in investments were lost in the civil war in Libya, and Turkish diplomats initially opposed NATO’s intervention. For years, Turkey cultivated ties with Syria’s president, Bashar al-Assad, seeing Syria as its fulcrum for integrating the region’s economies. Mr. Erdogan and Mr. Assad counted themselves as friends. Syria’s failure to — as Mr. Davutoglu put it — heed Turkey’s advice has wrecked relations, and Turkey is now hosting Syrian opposition conferences and groups. Last month, in meetings that lasted more than six hours, Mr. Davutoglu said Mr. Assad agreed on a Turkish road map — announcing a specific date for parliamentary elections by year’s end, repealing a constitutional provision that enshrined power in the ruling Baath Party, drafting a constitution by the newly elected Parliament and then holding another election once the constitution decided between a presidential or a parliamentary system. Despite face-to-face assurances, Mr. Assad did not follow through. “For us, that was the last chance,” Mr. Davutoglu said. 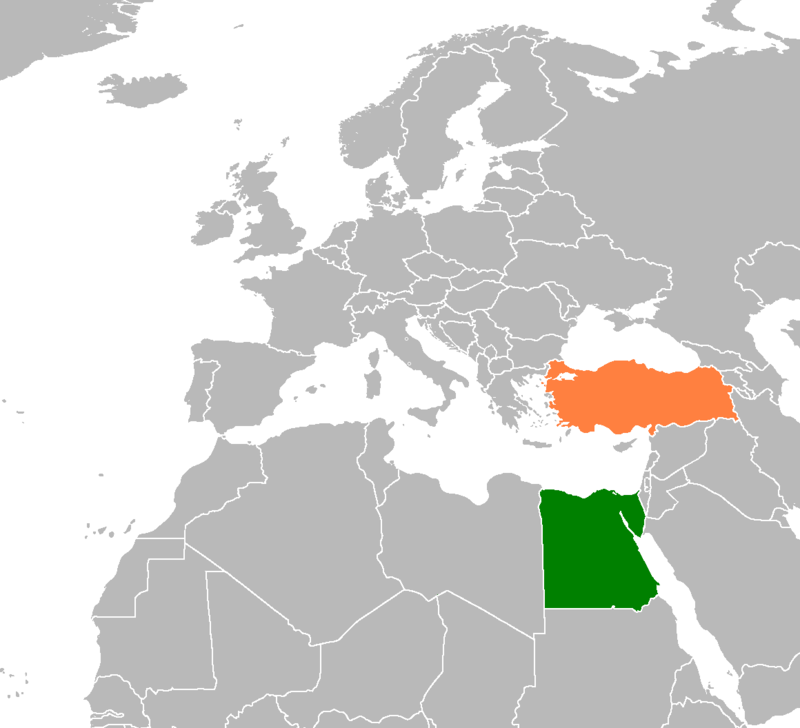 Egypt and Turkey are as close as you get in the Middle East to Arab–Europe crossroads states, with cultures and economies that share in both worlds. This is a continuation of Turkey strengthening its place in the Arab world and region as a whole. Lately Turkey has looked to expand its footprint in Africa and this allows that goal to be achieved given Egypt’s symbolic place in the Arab mind. A close Turkey-Egypt political and economic relationship can dynamically alter the balance in the region. Here is a video report on Turkish Prime Minister Tayyip Erdogan’s recent trip to Egypt few weeks ago. With the fighting coming to an end, there is no shortage of businesses eager to find out whether they have a place in the new Libya. Many organisations in Britain are hoping their company might be in line for work because Britain had helped in the war, however, they have been told not to make any assumptions. But companies which have existing contracts will be honored. However, they hope with the new government they will not have to pay the bribes which came with doing business with the old order. The United Nations has given Libya’s seat to the National Transional Council, bringing the recognition of Gaddafi’s government to a formal end. The UN also passed a resolution easing sanctions on the country, allowing Libya’s national oil company and central bank to resume operations. It means Libya’s national oil company and central bank can resume operations following the conflict. Libyan Embassy Reopened in U.S. Supporters gather outside of the reopening of the Libyan embassy in Washington DC. Supporters of the Libyan Transitional National Council (TNC) convened on the sidewalk outside the Watergate complex to celebrate the formal reopening of the Libyan embassy in Washington, DC, which is now officially under the TNC’s control. The new charge d’affaires Ali Aujali presided over the event, giving a speech to the assembled crowd, unlocking the doors, and inviting guests inside for an impromptu press conference. Aujali was quite familiar with the surroundings. He served Col. Muammar al-Qaddafi as the Libyan regime’s top representative in Washington for years before defecting to the rebel side in February.